Party leaders rallied in different areas inside - and out - of the province on Monday, getting in their final promises before Monday's historic English-language debate at the Maison Radio-Canada. Parti Quebecois Leader Jean-Francois Lisee was in Ottawa Sunday, demanding a fair share of Federal investment be made in Quebec. In front of the Parliament buildings, Lisee said that a PQ government would make its presence known in the invetment sector. As he tells it, Quebec doesn't receive enough Federal assets, and finds itself in a defecit of approximately $2.6 billion a year. "It's not because Ottawa likes us or beacause Ottawa respects us, it's becomes Ottawa fears us," he said. Among the examples of injustice given by Lisee were the province's forestry sector, and the Davie shipyard in Levis. Liberal Party leader Philippe Couillard made commitments pertaining to tax fairness in online commerce. Couillard said he believes the federal government is making strides in the area, dispite rampant criticism over the treatment of Netflix taxation. 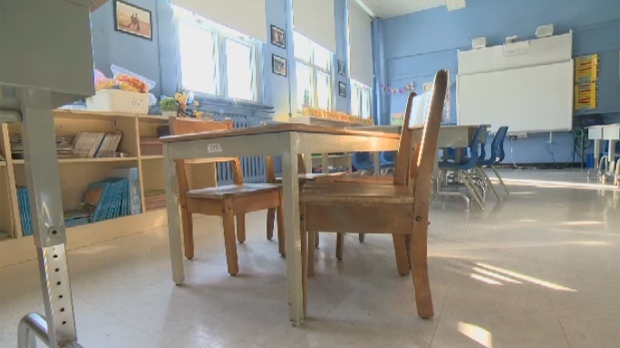 The CAQ announced a major project on Sunday to renovate and expand the province's schools. The party said they would invest $6 billion over five years - at a rate of $1.2 billion a year. The project would involve the construction of new schools, submitted through an architectural competition. "I want that Quebec has the most-beautiful schools in the world," Legault said. The Liberal party, however, made a similar announcement earlier in the campaign - Couillard previously promised a $1.5 billion investment, including $965 million for school renovation, and $608 million for school expansion. Quebec Solidaire said they would create a regional fund for culture and distribute that money equally. The $30 project would support artists and culture in each region. The program would be financed by an online trade tax the party promised earlier in the campaign.